Here we are, at a new season of the labyrinthine USA Network series "Mr. Robot." To make sure you're ready for what will no doubt be another twisty and eventful season, you should peruse our brief primers on all the names you'll want to remember -- even if some of them won't come up again -- as the show moves forward. 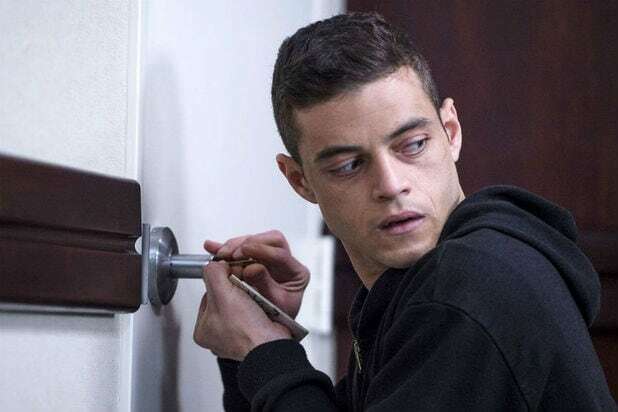 Elliot Alderson (Rami Malek)The main character of the series, and the titular Mr. Robot -- by way of a split personality. Elliot is a hacker, and the mastermind behind a cyberattack that wiped the records of corporations that deal in debt of all sorts. As Season 2 begins, Elliot is trying to escape the hacker lifestyle that led to his myriad mental and physical health problems in Season 1. Mr. 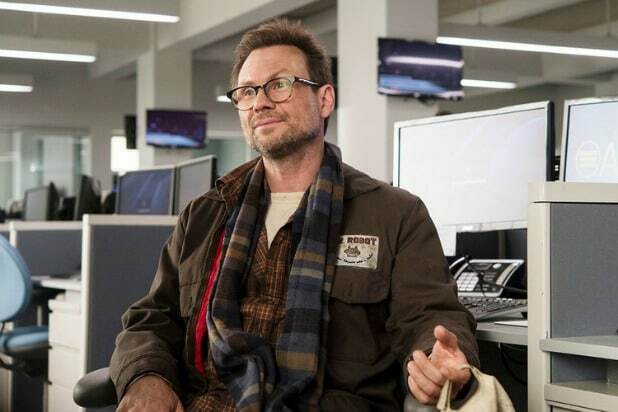 Robot (Christian Slater)Elliot's other personality, who takes the physical form of his dead father. Mr. Robot is the leader of fsociety, the hacker group dedicated to taking down corporations everywhere. Elliot wants to be rid of Mr. Robot, but he might still need him. Darlene (Carly Chaikin)Elliot's sister and fsociety member, who in his haze in Season 1 Elliot forgot actually was his sibling. With Elliot trying to get away from all that hacker madness, Darlene takes over leadership of society in Season 2. Angela (Portia Doubleday)Elliot's childhood best friend, and the one who got him his job at cybersecurity firm AllSafe. With AllSafe all but done for, they've both moved on, with Angela taking a job in public relations at E(vil) Corp, the company that was responsible for the deaths of Elliot's father and Angela's mother. Tyrell Wellick (Martin Wallstrom)Formerly an executive at Evil Corp, Tyrell hit rock bottom in Season 1 after committing a murder to get the CTO position at the company only to get fired shortly after. Tyrell appeared to team up with Elliot, but as Season 2 opens he has disappeared. Joanna Wellick (Stephanie Corneliussen)Tyrell's wife, who ran him out of the house after their child was born. Gideon Goddard (Michael Gill)The CEO of AllSafe, which collapsed after the disastrous hack of their biggest client, Evil Corp. Now, Gideon finds himself under legal fire as the authorities investigate whether he was involved in the hack. Cisco (Michael Drayer)Part of the hacker group known as the Dark Army, and Darlene's ex. Darlene stole his online identity at a key moment in Season 1. Romero and Trenton (Ron Cephas Jones and Sunita Mani)Members of fsociety who were instrumental in the group's shenanigans in Season 1 -- but their whereabouts are unknown as Season 2 begins. Mobley (Azhar Khan)The last remaining member of the Season 1 version fsociety aside from Darlene. Mobley now operates as her right hand. Phillip Price (Michael Cristofer)The CEO of Evil Corp, Price seems to lack any kind of empathy. He also seems to have handled the catastrophe that struck his company remarkably well -- though the cracks will begin to show in Season 2. Terry Colby (Bruce Altman)The Former CTO of Evil Corp was framed by Elliot for a security breakdown early in Season 1. His ouster paved the way for Tyrell Wellick's attempted ascension -- and, eventually, for Angela's employment with Evil Corp.
Krista Gordon (Gloria Reuben)Elliot's therapist. Elliot hacked her in Season 1, interfering in her love life in an attempt to protect her from a jerk of a suitor. Krista found out, and their relationship has become ever more complicated. Scott Knowles (Brian Stokes Mitchell)Current CTO of Evil Corp. Tyrell Wellick murdered his wife in season 1 in hopes he would leave the company, but that obviously didn't work out. Shayla (Frankie Shaw)Shayla was Elliot's drug dealer and love interest in Season 1, but she was killed by her supplier after Elliot broke him out of prison. Whiterose (BD Wong)A hacker with the Dark Army, who helped fsociety hack Steel Mountain in Season 1. Then, after the credits in the season finale, we saw her meet with Phillip Price. Whiterose's long game is unclear. Elliot's Mom (Vaishnavi Sharma)Was really hard on Elliot when he was growing up, and the two didn't speak for a long time -- in Season 1, her appearances were all flashbacks or in his head, haunting him.